Editor’s note: This article first appeared at Crisis Magazine. One of the most brilliant, influential Catholic intellectuals of the past half century has died at age 83. He was Michael Novak, theologian, philosopher, and gentleman—truly, a gentle man. I had the privilege to know Michael well. One of the great, undeserved honors of my life was sharing the stage with him at Franciscan University in Steubenville, Ohio in 2009 as we received honorary degrees together, a shared platform for which I was utterly unworthy. Here was a man who held audiences with John Paul II, Ronald Reagan, Margaret Thatcher, Vaclav Havel. (For me, this was honorary degree no. 1; for Michael, it was honorary degree no. 25.) That Saturday morning, I gave the commencement address to the graduate class and Michael to the much larger undergraduate class. I was 33 years his junior, but he treated me as an equal. That was no surprise, given Michael’s endemic warmth, humility, kindness. He not only preached the inherent dignity and worth of every individual; he lived it. I came to know Michael so well that soon thereafter he asked me to write his biography. It was one of the more difficult requests I ever had to decline. More on that in a moment, but I mention it here because I came to know a thing or two about his many contributions, which are too numerous to do justice to here. Michael Novak was best known for his 1982 classic The Spirit of Democratic Capitalism. It’s the first thing that pops up when you Google his name. The book helped lead to him eventually receiving the Templeton Prize in 1994, and defined him as one of the leading voices for the morality of a free-market economy that allowed human liberty to flourish. That thinking was in line with, if not (surely) helped influence, seminal Church statements such as Pope John Paul II’s 1991 Centesimus Annus. Michael was at the hub of a vital movement eloquently arguing the case for democratic capitalism, for the virtue of markets, for (as he would put it) the superiority of free-market economies over command economies. Free markets certainly weren’t perfect, but they were far preferable to closed markets. The best way to help people and help societies, Michael Novak insisted, was a freer economy rather than a managed one. You want to help the poor and the lower and middle classes? Well, you’ll help far more of them with a market economy than a socialist one. This was the spirit of democratic capitalism. That spirit was echoed by colleagues at the American Enterprise Institute (where Michael was a longtime fellow), at the National Endowment for Democracy, at the Institute on Religion and Democracy, at Father Robert Sirico’s Acton Institute—and, of course, by those freed captives in November 1989 smashing champagne glasses off the defeated and defunct Berlin Wall. And the message hardly ended in 1989. More recently, Michael was one of the softer, smarter voices offering insights into the economic roots and thinking of Pope Francis (published in his columns at National Review). The conference is nearly SOLD OUT—Don’t miss your chance to be part of the discussion! Click here to learn more and register today! He was, of course, a prolific writer. He wrote for publications that he helped start, such as First Things and this publication, Crisis magazine. His books were many—over 40 in all. Among my favorites, which I discussed two weeks ago in my regular spring humanities course at Grove City College, was his superb, On Two Wings, a fascinating look at how the (Protestant) American Founding Fathers harbored a very Catholic understanding and integration of the “two wings” of faith and reason. Another, which I quoted in class just last week, was a fine book on the faith of George Washington, Washington’s God, co-authored with his daughter, Jana. I have a favorite anecdote from that book which I always share with students, one typical of Michael’s approach: The book quotes Gordon Wood, the esteemed historian of the American Founding, making a typically dismissive and derisive remark about Washington and the Founders, stating that they “at best … only passively believed in organized Christianity, and at worst they scorned and ridiculed it. Most were deists or lukewarm churchgoers…. Washington, for example, scarcely referred to God as anything but ‘the Great Disposer of events.’” That Wood passage ends with a gentle Novak endnote directing readers to a four-page-long appendix of Washington’s numerous names for God, listed in stacked columns, one after another. It was a corrective made with charity but clarity, with gentleness but verve, backed with primary-source research. Those are just some elements of Michael Novak’s prodigious professional life. But there was so much more to the man, especially his personal life. He was born in Johnstown, Pennsylvania, home of the disastrous Johnstown Flood. The old coal-country town tucked in a valley of the Allegheny Mountains between Pittsburgh and Altoona was forever part of him. Raised by loving, rugged Slavic immigrants, the little boy awoke early in snowy mornings for Mass to serve as an altar boy, bundling up and trudging alone through cold streets to hike to the church. I traveled through Johnstown recently via train from Pittsburgh to Philadelphia. As I stared out the window, getting a good glimpse of the rundown rustbelt city with its steeples protruding from hillsides, I thought of Michael. I pictured him as a little boy plowing through the snow to go help serve Mass. I pulled out my phone and emailed him. He responded right away, touched by the memory, probably as he was looking out the window of a sterile Washington, D.C. office building or warmer climes in Naples, Florida, where he taught for a time at Ave Maria University. Little Michael’s father would move the family to other blue-collar towns in the region, including McKeesport, the smoky steel town on the Monongahela River where so many tough football players were raised—including Michael Novak. Michael there began his love of football. It will shock many readers to learn that the mild-mannered, soft-spoken theologian was a ferocious football fan. Watching the Steel Curtain defense of the 1970s crushing opponents must have been an inspiration in one of Michael’s most forgotten and yet most interesting and acclaimed books, The Joy of Sports, published in 1976, and hailed even by Norman Mailer (as well as George Plimpton). Michael wrote about those early days in his 2013 memoir, Writing From Left to Right: My Journey From Liberal to Conservative. The book is filled with moving images from the arc of his life and his sojourn from political left to political right, though Michael never really sought to be either. He sought first and foremost to be a faithful, orthodox Catholic. In fact, he remained a Democrat for a long time, and I don’t know that he ever de-registered his party affiliation, even as he believed (as Ronald Reagan did) that the party had long since left him. He also along the way left a path to the priesthood, primarily because he wanted to marry and have children, which he did (three of them, Richard, Tanya, and Jana) with his beloved wife of many years, Karen, who died in 2009. That sojourn involved so many intriguing stops along the way. 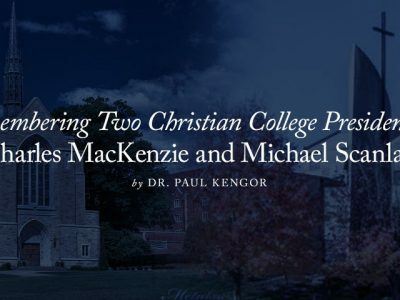 After initially supporting the Vietnam War, Michael spent a month in the country in 1967 visiting students and returned a committed opponent, much like other prominent Catholics of the day from Fulton Sheen to Thomas Merton to the Berrigan brothers. This led him to support Democratic presidential candidates of the period ranging from Bobby Kennedy and Eugene McCarthy in 1968 to George McGovern and Sargent Shriver in 1972. But like many theologians of his day, the Democratic Party’s sharp turn to the hard left in the 1970s and 1980s, from economic to social-moral issues, permanently alienated him. 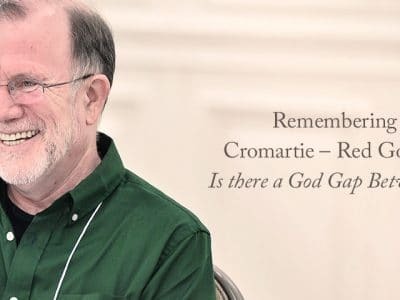 Much like his friends Richard John Neuhaus, Jeane Kirkpatrick, Irving Kristol, Gertrude Himmelfarb, Charles Krauthammer, and others, he left the left behind. That, too, is a journey he describes in his memoir, which brings me back to the biography I mentioned earlier. It seems so stupid and insensitive now, but I turned down Michael’s request to write his biography. It was partly a matter of being impossibly overwhelmed with other commitments, but I also knew he was writing his memoirs. I’d be almost repeating whatever he did, and I knew publishers would balk at a manuscript completed at basically the same time as a memoir. Michael surely knew that, but he also must have known that the time to unload on a biographer, like the time to write memoirs, was running out. Ultimately, I said no. His response was typically thoughtful and prayerful. He urged both of us to allow for the “Holy Spirit” to work in due course. Like so much of his life, that action, too, would be in God’s hands. Letting go must still have not been easy, because I’m sure he had so many more powerful writings planned. That’s our loss. But he was 83, and an accomplished man of staunch faith. He was well-prepared to finally meet his Lord and all those angels and saints and reunite with those loved ones from those snowy mornings long ago in Johnstown. For the author of The Spirit of Democratic Capitalism, his spirit now goes to where the spirit finds its only source of perfection. Dr. Paul Kengor is professor of political science and executive director of The Center for Vision & Values at Grove City College. His latest book (April 2017) is A Pope and a President: John Paul II, Ronald Reagan, and the Extraordinary Untold Story of the 20th Century. He is also the author of 11 Principles of a Reagan Conservative. His other books include The Communist: Frank Marshall Davis, The Untold Story of Barack Obama’s Mentor and Dupes: How America’s Adversaries Have Manipulated Progressives for a Century. 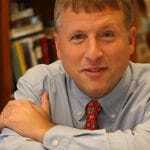 This entry was posted in Biography, Economics & Political Systems, Feature by Paul G. Kengor. Bookmark the permalink.